It looks like the $8,000 bet many existing homeowners made is going to pay off. Senate negotiators announced during the last week of October that they had come to an agreement on extending and slightly expanding the extremely popular $8,000 first time home buyer tax credit. The existing $8,000 first time home buyer tax credit will be extended until June 30, 2010, for contracts that are finalized by April 30. Homeowners who lived in their homes for five consecutive years over the past eight years, will get a tax credit of up to $6,500 as long as they finalize their home purchase contract by April 30 and close by June 30. Members of the Armed Forces who are on active duty for at least 90 days in 2008 or 2009 have until April 30, 2011 to claim the tax credit as either first-time buyers or trade-up buyers. To protect against fraud, you must be 18 years of age or older to claim the credit (a 4-year old had claimed the credit as a first-time buyer because her parents already owned a home), and a HUD-1 settlement statement must be attached to the tax filing. Finally, the IRS will have greater oversight during the processing of forms, rather than waiting to audit them. The income limits for the tax credit have been raised to $125,000 for individuals and up to $225,000 for married couples. The $8,000 first time home buyer tax credit was due to expire on November 30, 2009. 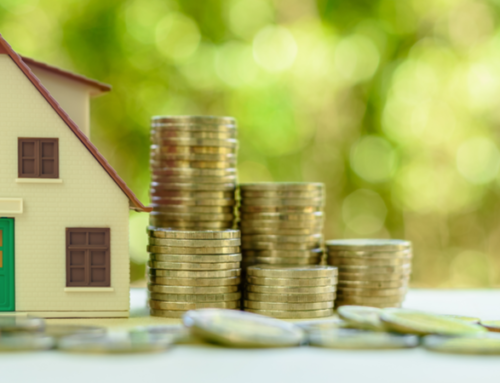 Originally, the White House said it would be in favor of simply extending the tax credit for first-time buyers through the winter selling season, which is typically slightly slower than the rest of the year. But the latest new home sales figures from the Commerce Department caught everyone by surprise: New home sales for September dropped a surprising 3.5 percent, to an annualized 402,000 sales for 2009. Economists were expecting new home sales to rise about 5 percent. The new annualized sales figure is about the lowest on record. Up until the Commerce Department report, Senators were arguing about whether an extension or expansion of the tax credit was really needed. The cost, about $17 billion, is unpopular with some taxpayers who believe the Federal deficit shouldn’t be inflated any more than it already is. But the National Association of Realtors, Mortgage Bankers, and National Association of Home Builders have been pushing Congress and the White House for months, arguing that without an extension and expansion of the $8,000 tax credit, existing and new home sales were destined to fall flat, much the way new car sales died after the “Cash for Clunkers” expired. The new home sales number seems to be the “magic bullet” Senators and lobbyists were hoping to find. The deal, which had been in negotiation for weeks, came together quickly once the new homes numbers were announced. In the same press conference, Geithner and Donovan also urged Congress to extend higher loan limits for mortgages and secure funding for the Housing Trust Fund, which helps extremely low-income families find housing. While everyone is celebrating the extension and expansion of the $8,000 tax credit, don’t forget what it really says about the U.S. housing market: It’s fragile and weak.